"Welcome to the Hope Christian Trust website!" Latest news! - The Shepherd Society Humanitarian Appeal. For more information. Click here. (See below) The children of the Zababdeh community centre, at a holiday camp, led by the staff. "A blessed time filled with Christian love. A break from the daily difficulties of living in a troubled land". Also the Trust were able to assist with the provision of school bags which many parents simply cannot afford. (see below). The Hope Christian Trust supports the centre financially. A trustee takes medical medical supplies into Gaza for the Al Ahli Hospital.Due to restrictions, and the 2014 war ,medical supplies are needed on a constant basis.Click here to see a video of the hospital and its work.With thanks to the Amos Trust who provided the video.If you are using an IPad then press the "Click here" above and then select "open in a new tab". "Good news! 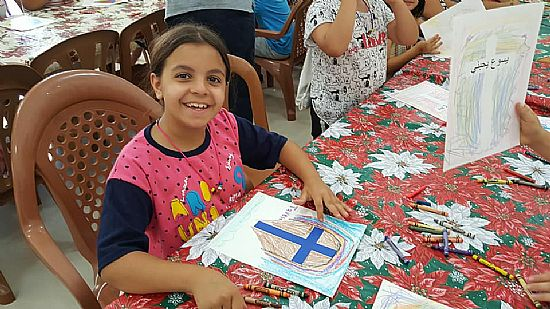 !a wonderful gift for the Lighthouse School in Gaza.To read more click below." New solar panels for the school.Praise the Lord! !click here to find out more!! To read our latest "news and prayer request letter" click here. Bethlehem Bible College.To find out more click on the Bible College logo below. Also you can click here for the latest update from the Bible College Gaza extension. We also support other worthy causes in the West Bank and Gaza. Click here to access our Links page where you can learn more about our activities or click on the images below. News just in ! 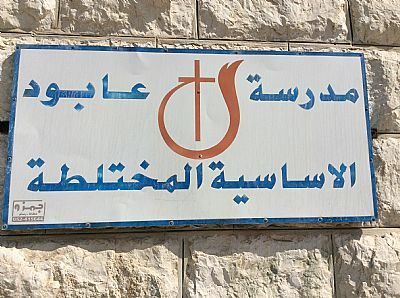 click on The Arab Evangelical School (Hebron) logo below to see the latest staff newsletter. Abud School . Zababdeh Community Centre . The childrens playground equipment ( shown above right) was provided as a result of the Trust obtaining a grant from the United Nations Womens Guild of Vienna. See also a music video highlighting the suffering of the children in Gaza. To contact the Trust click here for our details.